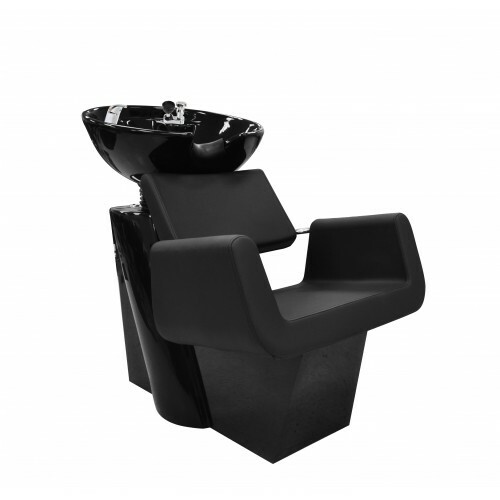 The AYC ARON shampoo unit has a Modern sleek design with square shaped comfortable shampoo chair. All in Black. Seat Height: 18", Seat Width: 18.5, Seat Depth: 17"